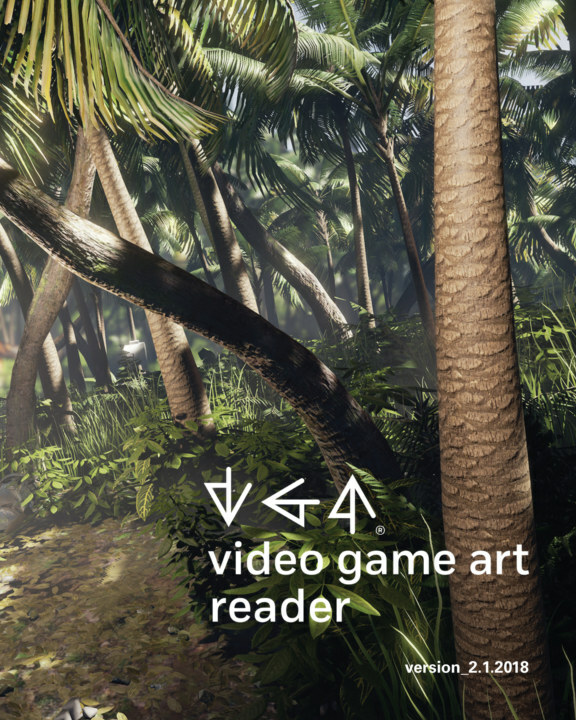 The VGA Reader is a peer-reviewed journal for video game audiences and video game practitioners interested in the history, theory, and criticism of video games, explored through the lens of art history and visual culture. Its primary aim is to facilitate conversation and exploration of video game art, documenting and disseminating discourse about the far-reaching influence of video games on history, society, and culture. Founded in 2013 in the lively game community of Chicago, Video Game Art (VGA) Gallery seeks to increase cultural appreciation, education and critique of video games and new media through exhibition, study, and sale. Annual programs include Exhibitions and Events featuring the work of significant artists and game developers from around the world; Education programs are comprised of talks, screenings, and student programs; the VGA fine art print collection encompasses giclees and posters of artwork from video games; and a scholarly publications program that will launch the VGA Reader, a peer-reviewed journal that highlights new scholarship about video games and new media art. VGA Gallery is an Illinois 501(c)(3) not-for-profit corporation.